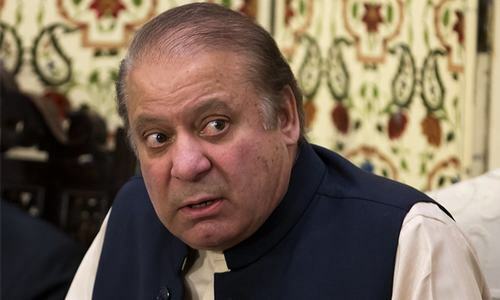 ISLAMABAD: The Islamabad High Court (IHC) judgement rejecting the petition filed by former prime minister Nawaz Sharif contains a silver lining for the petitioner, by allowing the simultaneous recording of statements and cross-examination of witnesses in all three references. The detailed order was issued by a two-member division bench consisting of justices Aamer Farooq and Mohsin Akhtar Kayani. “In order to overcome any prejudice, which the petitioner apprehends he may face regarding disclosure of defence, a request can be made to the learned trial court for cross examination of joint witnesses i.e. witnesses which are common in three references on the same date or on the following day so that they have little or no chance for thinking and improving upon what is to be said,” the order states. It also addressed another concern put forward by Mr Sharif, with the order stating that “The decision in three references shall be rendered simultaneously” as observed by the trial court. The order also said that the IHC bench has limited jurisdiction as a court of appeal. On Oct 19, an accountability court dismissed Mr Sharif’s application to club together three references, which Mr Sharif appealed. During the course of the hearing, Mr Sharif’s counsel Azam Nazir Tarrar argued that under section 17(d), a person accused of more than one offence of the same kind, committed during the space of any number of years, may be charged with and tried in one trial; that the offence in question, for which the petitioner has been charged with, is section 9(a)(v) of the ordinance on the basis that during his stint as chief minister of Punjab and the prime minister of Pakistan, he acquired assets in the name of his benamidars/co-accused, which are beyond his known sources of income. He also contended that the accountability court dismissed applications filed by the petitioner without taking into consideration the requirements of section 17(d) of the ordinance and relevant law, despite a clear direction by an IHC bench. He argued that that in the two Flagships and al-Azizia charge references are under section 9(a)(v), whereas the Avenfield corruption reference charge is under section 9(a)(iv) of the ordinance. The counsel for the petitioner claimed that there are common witnesses in the three references, and since cross-examination is to take place separate, the petitioner shall disclose his defence to the witnesses and, when they appear in the subsequent references, they will cover up the shortcomings. The prosecution argued that separate references have been filed on the principles of parity as provided in section 222 and 233 of the Criminal Procedure Code (CrPC). He further submitted that section 17(d) is not mandatory, but rather a discretionary power that lies with the court. The IHC bench noted that the use of the word ‘may’ in section 17(d) clearly indicates that it is at the discretion of the court. The bench said that with respect to the nature of events and in view of the offices Mr Sharif held from 1985 to 2017 – during which time he allegedly accumulated wealth beyond known sources of income – it is difficult to frame joint charges at this stage as it would create ambiguity and confusion while referring to each and every property or assets and getting answers from the accused. Malik Tayyab, a witness for the prosecution, continued his testimony before the accountability court on Wednesday. Mr Tayyab, an official from Standard Chartered Bank, shared details regarding transactions between Mr Sharif and his sons Hassan and Hussain Nawaz. According to Mr Tayyab, Mr Sharif withdrew $2,200 on Feb 7, and transferred $600,000 to his Pakistani currency account between March and May this year. He also provided details of Mr Sharif and his sons’ Euro and Pound Sterling accounts. He said Hussain Nawaz transferred £25,000 to his father’s account in December 2010, and Mr Sharif transferred £25,000 to his own Pakistani currency account in 2015. He also told the court that Mr Sharif transferred £10 to his Pakistani currency account twice in 2016, at which Zaafir Khan raised an objection regarding the documents presented in court. Proceedings will resume today (Thursday). In the United States, His Problem Wasn’t the Taliban. It Was Everything Else.